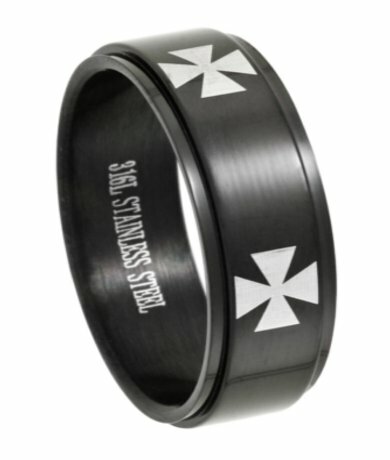 A Black 316L Stainless Steel ring decorated with silver-toned iron crosses surrounding the ring. My fiance's 1st ring arrived damaged. The outside band of it kept spinning. 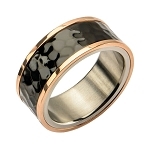 The 2nd ring was perfect though. Just what I was looking for. 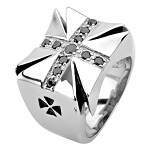 Good ring.Good price.Fast service.